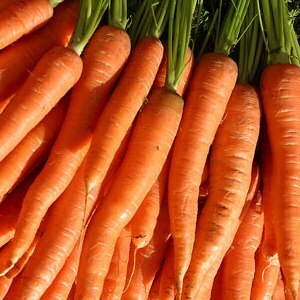 How is Writing Like a Carrot? It’s not really a riddle, I promise. I never did like riddles. I do like writing though. Carrots, too. Writing isn’t particularly nutrient-dense and carrots probably can’t teach you new words, so what could these two possibly have in common? Carrots and writing both need time and care to coax their best potential from them. Like a garden patch, so too must the mind be a rich and nurturing place for things to grow. Make your life a place where words can bloom. Read, write, make time to write, create a space to work where you can tap into your creativity, set goals, and reward yourself when you meet them. A finished project doesn’t happen overnight. It requires planning, pre-writing, doing the work itself, editing, and submitting – and that’s just an abridged list of how the writing-to-publishing process can go. Patience is one of the hardest traits to manage when working on a book or other writing project and managing your time well is a hard skill to acquire. All the same, writing requires and deserves you to take your time. In both carrots and writing, sometimes less can be more. Did you know that carrots that grow too big lose their inherent sweet taste? So, too, can it be with a writing piece that has grown too big. After writing and editing are done, there’s a right time to put the piece aside and call it finished for now. Perhaps you’re ready to try and start selling it or maybe you want to just out it in a drawer somewhere for a while and let it sit. Whatever the case, don’t let it get too big and out of control.